APEX manufacture a wide range of ID Fan & FD Fan to suit number of industrial applications. 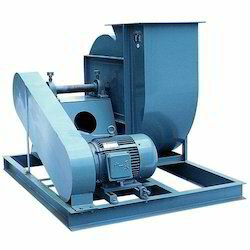 Centrifugal Blowers are well engineered and having high efficiency incorporating all the latest technologies. 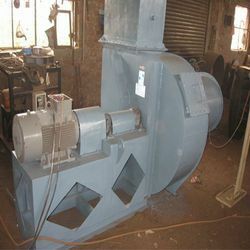 All types of centrifugal fan that we manufacture are designed to meet each customer's individual requirements. Manufactured maintaining high precision, the Furnace Fume Extraction Blower have been designed with extreme care for accurate and effective functioning. These Furnace Fume Extraction Blowers are available in different types and utilized in various industries in distinctive capacities. Volume: 30 - 8,000 m3/hr. Temperatures: Up to 350 degreeF. Pressure Value: 30 - 1,530 mm WGP. Our product range comprises in Furnace Blower. Furnace Blower to handle corrosive gases, abrasive elements. Backed by years of experience of this domain, we manufacture, supply and export the finest grade of Furnace Fan. Known for its high performance and low maintenance, the energy efficient centrifugal blower is used in chemical, petrochemical, steel & cements industries. The rendered centrifugal blower can be customized.